USB Type A socket works with your device's USB charging cable. Engineered in a stylish, compact and travel-friendly design. Power Devices up to 75% Faster. Manufacturer Code: GA43019. Engineered in a stylish, compact and travel-friendly design. Colour Black. space saving design. 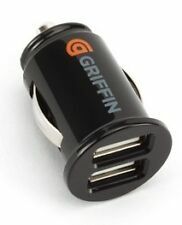 Griffin's PowerJolt SE Mobile sports a low-profile plug for your car's 12 volt accessory outlet, and a powerful 10 watt charging circuit so your mobile devices and smartphones can power up quickly and safely. A durable captive coiled cable with a micro-USB connector easily reaches up to 30 inches. Plugs are small and easy to grip, and able to fit in even the most restrictive of ruggedizes cases, including Griffin's own Survivor cases. With its built-in, self-resetting SmartFuse, PowerJolt SE Mobile guards against power fluctuations as it charges. 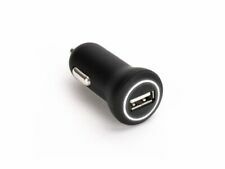 PowerJolt SE 2.1A Micro-USB Vehicle Charger Charging Connector USB Maximum Charge Rate 2. 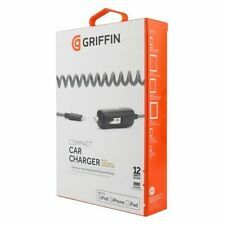 Griffin Handsfree Car Kit GC35350. Mounting cradle accommodates your iPhone in most shell or skin-type cases, as well as a growing number of MP3 players and smartphones, including popular models from BlackBerry, HTC, Palm, and Samsung. 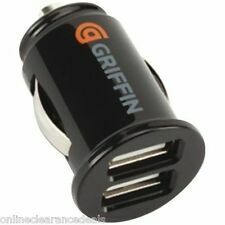 Plugs are small and easy to grip, and able to fit in even the most restrictive of ruggedizes cases, including Griffin's own Survivor cases. Includes a Detachable 30 Pin Charging Cable so you can Use Any Existing Cable. 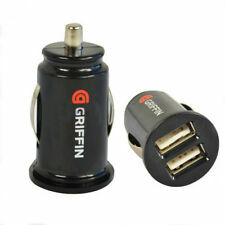 Plugs are small and easy to grip, and able to fit in even the most restrictive of ruggedizes cases, including Griffin's own Survivor cases. Micro USB devices. Coiled Cable Resists Tangles. 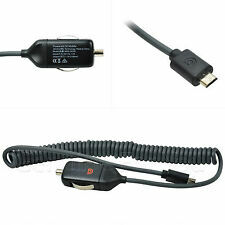 Suitable for all Android Micro USB devices including Tablets. Tangle Free Charging in your Car. Good Condition. Including Griffin's own Survivor cases. 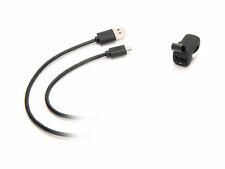 Also Compatible With All Micro USB Smartphones, Tablets & Devices. LG G5 G3 G4 G2 K10 V10, Nexus 5, G4 Stylus. Charging Connector USB. Sony Xperia Z5 Compact Z2 Z3 Z4, Xperia XZ X Compact XA Ultra, Z1 ZR, M4 Aqua. Features a coiled cable for tangle free charging. In-car Micro USB charging lead. SmartFuse protects with built-in circuit breaker. Features a capacitive coiled lead design. Lead length: 30" (stretched). Plug Type Car Lighter. Plugs into your car's 12V accessory socket. 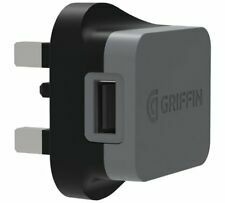 Plugs are small and easy to grip and able to fit in even the most restrictive of ruggedised cases, including Griffin's own survivor cases. Small plugs are easy to fit in tight case openings. Box Contains. Works in your vehicle's 12 volt power outlet. 5 watts per port (5 volts @ 1 amp). Plugs are small and easy to grip, and able to fit in even the most restrictive of ruggedizes cases, including Griffin's own Survivor cases. Small plugs are easy to fit in tight case openings. Detachable micro USB Cable. Pull tab for easy removal.